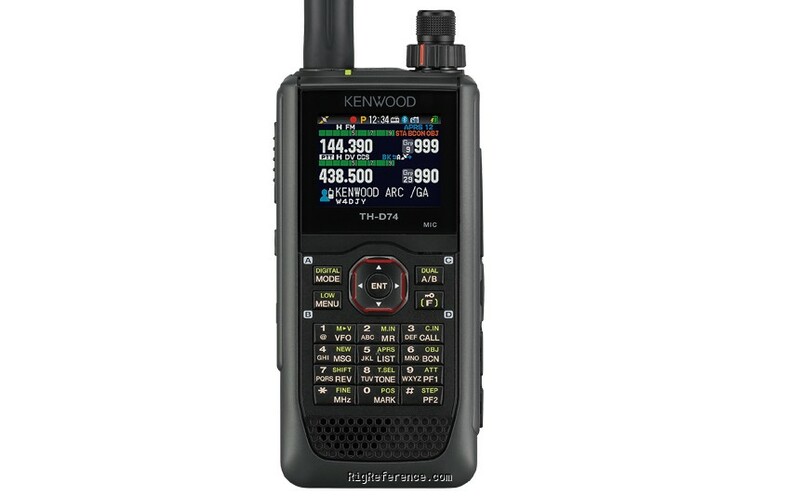 This Dual Band Amateur radio support analog and digital features like D-STAR and APRS. Featuring colour transflective TFT display that offers excellent visibility in day or night. Plus, built-in GPS and Bluetooth support, as well as Micro USB and microSD/SDHC this radio is ready to harness the exciting developments in radio communications. CTCSS/PL, DCS, Micro-SD card, Micro-USB, Bluetooth, Built-in GPS and APRS. Built-in bar antenna for 0.1-10 MHz RX. Color TFT. Audio equalizer. Hi-performance DSP. Estimating the value of a rig can be challenging. We collect prices paid by real hams over the years to help you estimate the current value of the Kenwood TH-D74. Just bought or sold this model? Let us know what you traded it for and help other ham operators!